Start off your visit on the 15th (Thu): trek along Esplanade Boardwalk and then take in nature's colorful creations at Botanical Gardens. To find where to stay and tourist information, you can read our Cairns trip itinerary builder site . Use the Route module to find suitable travel options from your home destination to Cairns. In August in Cairns, expect temperatures between 31°C during the day and 20°C at night. Finish your sightseeing early on the 16th (Fri) so you can travel to Townsville. 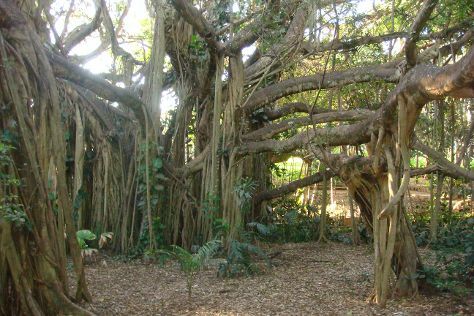 Start off your visit on the 16th (Fri): head off the coast to Museum of Tropical Queensland, make a trip to Jezzine Barracks, and then take in the pleasant sights at Castle Hill. For traveler tips, maps, reviews, and other tourist information, go to the Townsville trip maker tool . Fly from Cairns to Townsville in 3.5 hours. Alternatively, you can drive; or take a bus. Traveling from Cairns in August, Townsville is slightly colder at night with lows of 17°C. Cap off your sightseeing on the 17th (Sat) early enough to catcht the bus to Airlie Beach. Spend the 17th (Sat) among aquatic life with a scuba or snorkeling tour. On the 19th (Mon), spend a thrilling day on the water with a speed boat tour. There's still lots to do: get interesting insight from Tours, soothe aching muscles at some of the top local wellness centers, and paddle through the water with a kayaking and canoeing tour. To find where to stay, traveler tips, maps, and more tourist information, go to the Airlie Beach day trip planner. You can take a bus from Townsville to Airlie Beach in 4 hours. Alternatively, you can drive; or do a combination of train and bus. Traveling from Townsville in August, expect nights in Airlie Beach to be a bit warmer, around 21°C, while days are a bit cooler, around 26°C. Finish up your sightseeing early on the 20th (Tue) so you can travel to Rockhampton. Start off your visit on the 20th (Tue): view the masterpieces at Rockhampton Art Gallery, look for all kinds of wild species at Capricorn Caves, then take an in-depth tour of Rockhampton Heritage Village, and finally meet the residents at Rockhampton Botanic Gardens. To see reviews, where to stay, ratings, and other tourist information, read Rockhampton trip planning site . Do a combination of bus and flight from Airlie Beach to Rockhampton in 5.5 hours. Alternatively, you can drive; or take a bus. While traveling from Airlie Beach, expect somewhat warmer days and a bit cooler nights in Rockhampton, ranging from highs of 30°C to lows of 13°C. Finish your sightseeing early on the 21st (Wed) so you can travel to Hervey Bay. Start off your visit on the 21st (Wed): look for all kinds of wild species at Wildlife Areas. 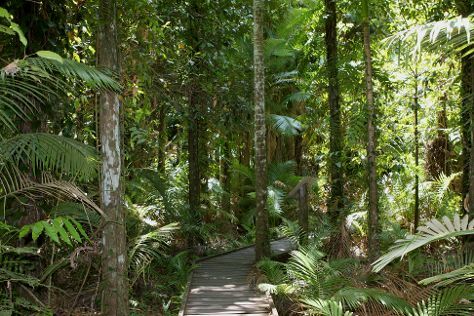 On the 22nd (Thu), you'll have a packed day of sightseeing: take in nature's colorful creations at Hervey Bay Botanic Gardens, grab your bike and head to Esplanade, then view the masterpieces at Ashleigh Manley Art Gallery Homewares & Gifts, and finally take in the waterfront at The Pier. For reviews, traveler tips, where to stay, and tourist information, refer to the Hervey Bay tour planner . Take a train from Rockhampton to Hervey Bay in 4.5 hours. Alternatively, you can fly; or drive. Expect a daytime high around 27°C in August, and nighttime lows around 13°C. Cap off your sightseeing on the 23rd (Fri) early enough to travel to Brisbane. To find other places to visit, where to stay, ratings, and tourist information, refer to the Brisbane itinerary builder app . Fly from Hervey Bay to Brisbane in 3 hours. Alternatively, you can drive; or take a train. In August, plan for daily highs up to 25°C, and evening lows to 11°C. On the 23rd (Fri), you're off tohome.